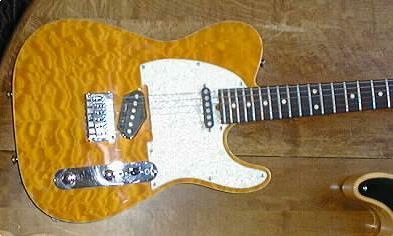 Guitar n° 1 Tom Anderson 1994 Hollow T Guitar. The best period. 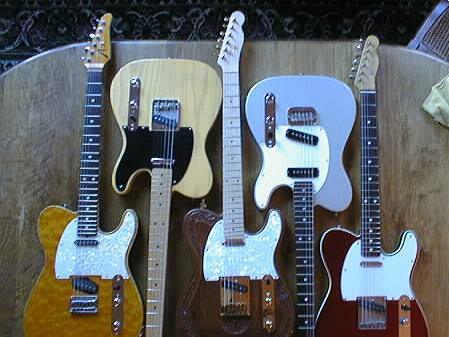 As Guitar Player demonstrated in their Tele shoot out article. 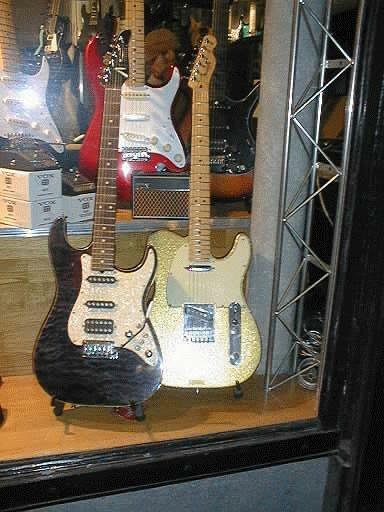 Lead Guitars in Paris had the best one I had tried out and gone crazy about it three years earlier. The first owner brought it back and here it is. I did a straight swop for 'Sparkle' a Fender custom shop Telecaster with Texas special pickups and a beautiful maple neck . Merci Sebastien. Here's a picture of Sparkle saying 'bye bye' to me in the store window. ( 2 minutes 10 seconds) Dan's song starts at 59 seconds ! Tom Anderson Hollow T neck pickup two takes (48 Seconds + 1 minute )This is where I change the amp round to get more 'air' into the sound, yes it is better to switch to standby. Compare the two . Tom Anderson Hollow T headstock (1 minute 13 Seconds) Middle and bridge pickup again This is 'Peter Green' toneland. Sorry for some reason (haste?) I forgot to tape the neck pick up!!! As with every Tom Anderson guitars I've payed, this Hollow T has a perfect neck body joint (1 minute 5 Seconds). The craftman's workmanship on this guitar is 100 % - the stability of the neck and the intonation is beautiful and precise. If you have not played a Tom Anderson and you are into guitars you owe it to yourself to check them out. 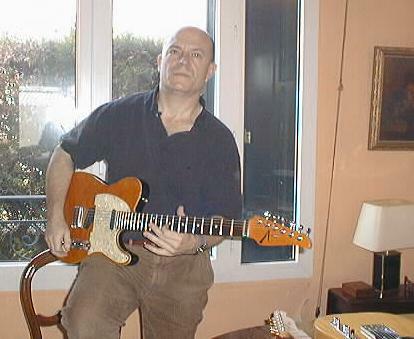 To hear this guitar in concert at The Alize Restaurant 12 February 1999. Rueil Malmaison France. NB: The amplifier is the same Mesa Boogie Subway blues. The whole concert is guitar direct to amplifier (no pedals). I really like these sound files as it is rare to play as a trio and I had to play my best to keep the show exiting.